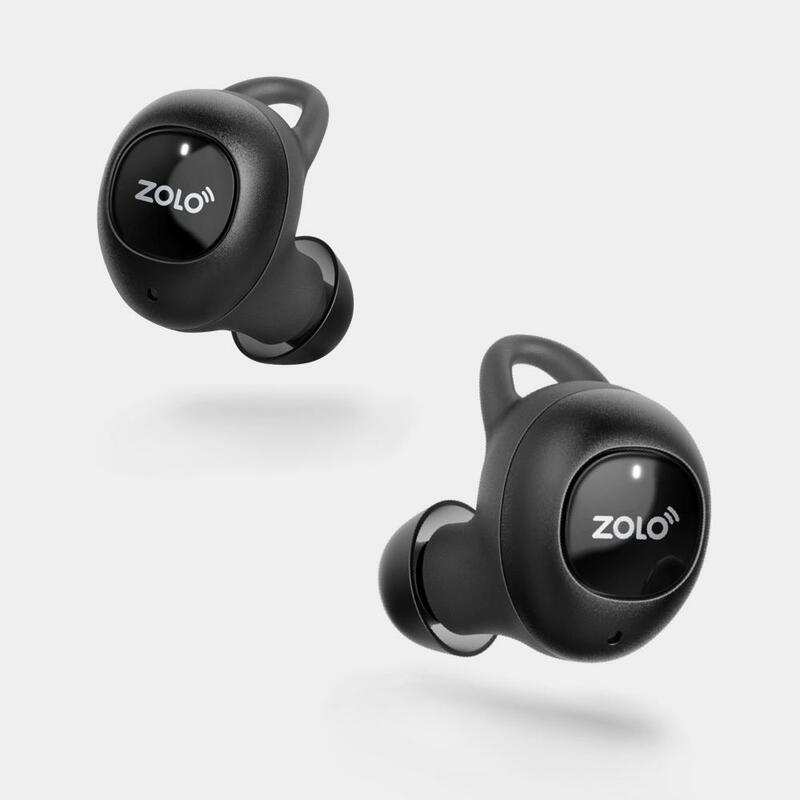 ZOLO is committed to reinventing audio by bringing it into the smart era. 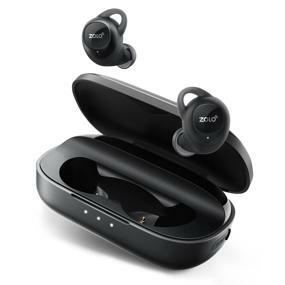 This includes premium wireless headphones and beautifully designed indoor and outdoor smart speakers that support popular music services, endless voice functionality, and an ever-growing number of compatible smart-home products. 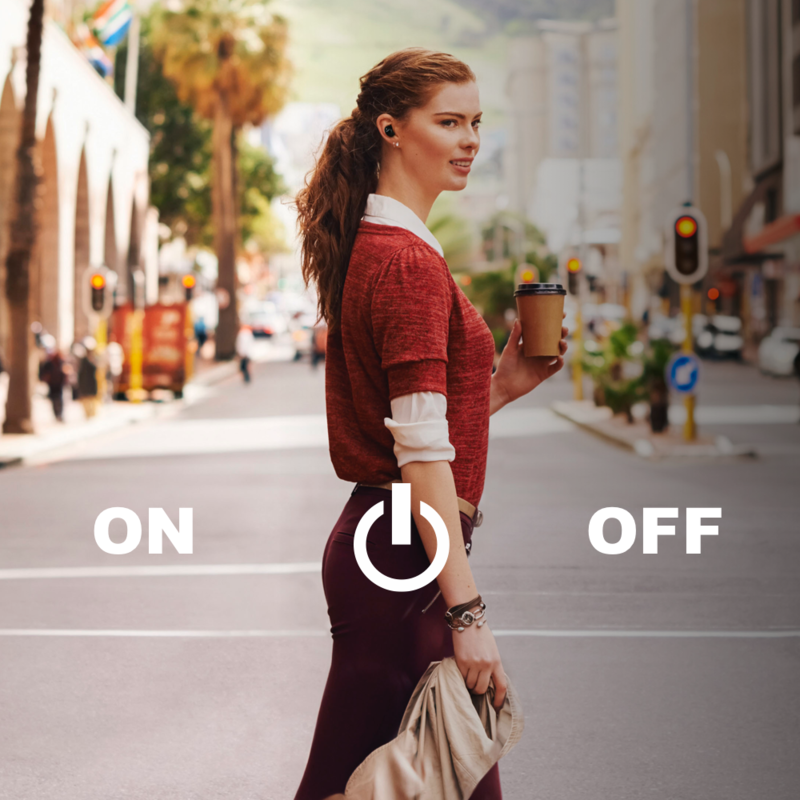 Liberty+ are flagship total-wireless earphones. 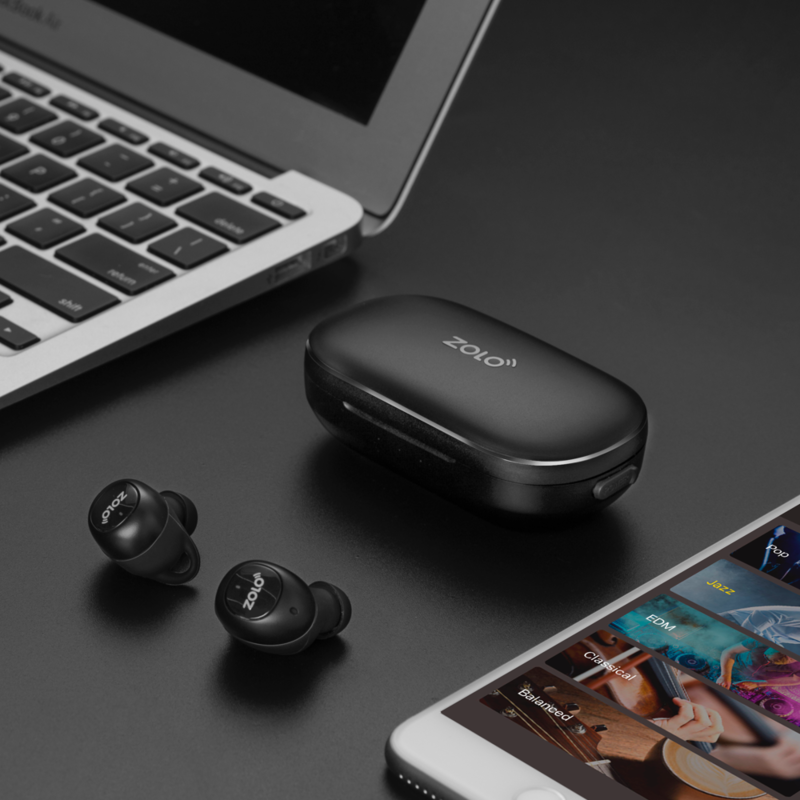 Designed for those unwilling to compromise on their wireless audio experience. 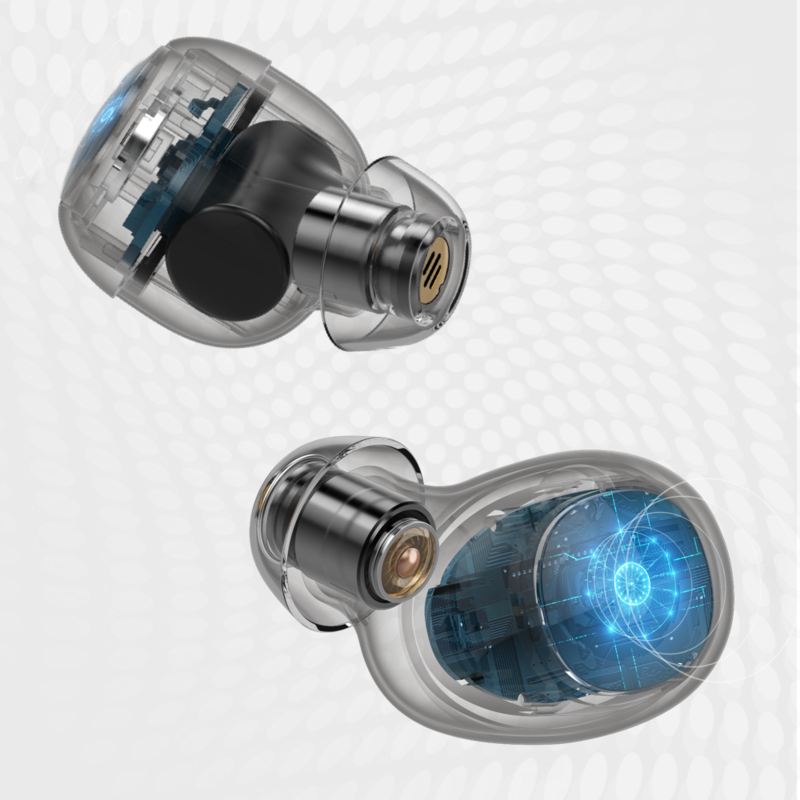 Pioneering graphene-enhanced drivers deliver incredible sound. Punching bass, luscious mids, and soaring highs flourish in exceptional clarity. An extended 48-hour playtime (with included charging case) plays 10 albums a day for an entire week in stunning fidelity. 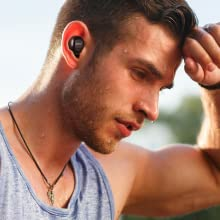 Some earphones claim to be wireless, but actually have a wire connecting each earpiece. Liberty is different. 100% cordless. Held together by an almost unbreakable Bluetooth connection. This is the future of personal listening. Innovative driver augmentation delivers unprecedented audio immersion. Graphene’s strength and flexibility makes the bass punch, the mids smooth, and the treble soar—it delivers an unrivaled listening experience in complete freedom. Utilizing Anker’s world-famous battery technology Liberty play for 3.5 hours on a single charge. With the accompanying charging case playtime gets boosted to an incredible 48 hours. 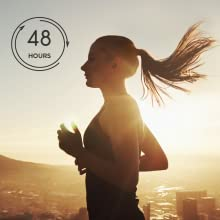 That’s over 2 weeks listening for 3 hours a day. 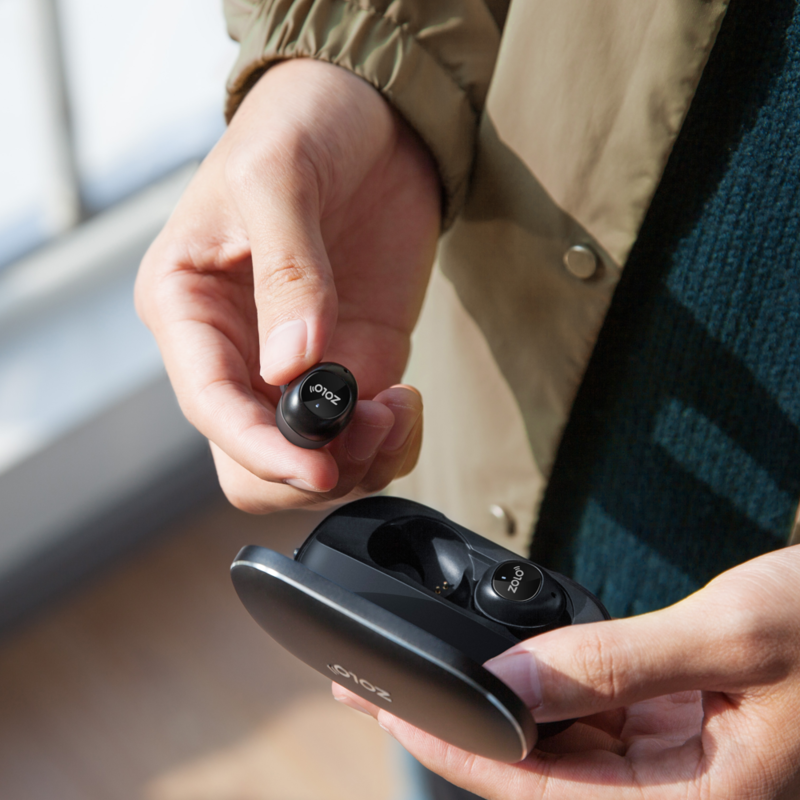 Unlike ordinary total-wireless earphones, setting up Liberty is instant and reliable. 1. Pull Liberty from their case. 2. Connect via your phone. To create an instant, rock-solid fit we developed GripFit technology exclusively for Liberty. With its innovatively designed casing, Liberty slide in then twist to create an exceedingly secure yet comfortable hold. Liberty are built with sweat resistant casing to prevent water ingress. Ideal for sweating it out at the gym or singing in the rain. Liberty+’s extra-secure fit provides an isolated and ideal listening experience but it can sometimes be important to hear the world around you. With the touch of a button Liberty+ uses its external microphone to relay exterior sounds with flawless clarity. We all have unique music taste. Each style sounds best with a specialized EQ profile. Genres like hip-hop need boosted bass, others might need elevated treble. The ZOLO Life app makes creating your ideal sound effortless. With preset EQ profiles to suit your audio. Includes rock, pop, EDM, and more.